Thanks to our readers for your support, comments and interest in Church4EveryChild in 2012! 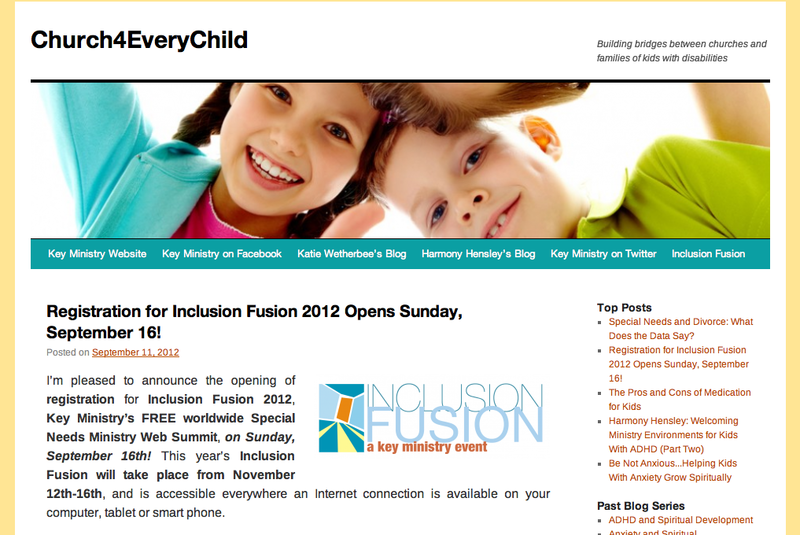 This blog, together with Katie Wetherbee’s and Harmony Hensley’s blog and our Key Ministry website represent our main tools for getting the word out about all of the free products, services and events we provide for churches seeking to welcome, serve and include kids with disabilities and their families. So…what do we have planned for 2013? One of my goals when we launched the blog in 2010 was to develop a comprehensive library of resources for church staff and volunteers working with kids with the full range of common emotional, behavioral and developmental disorders I see among kids served in our practice. We hope to complete that goal by the end of 2013. We’ll start next week by looking in-depth at the topic of depression in children and adolescents. We’ll look at some of the signs and symptoms of depression, discuss some of the concomitant problems frequently experienced by kids who have depression, review some of the ways in which depression negatively impacts kids in their intellectual, social and spiritual development, and talk about ways in which church staff and parents can best support kids and teens suffering from depression. In March and April, we’ll look at the topic of Reactive Attachment Disorder in the context of challenges faced by churches in supporting families who are serving kids in the foster care system and families who intentionally adopt children identified with special needs. In May and June, we’ll walk through the DSM-5, the guidebook used by psychiatrists and other professionals to diagnose children and adults with mental health, learning and developmental disorders. 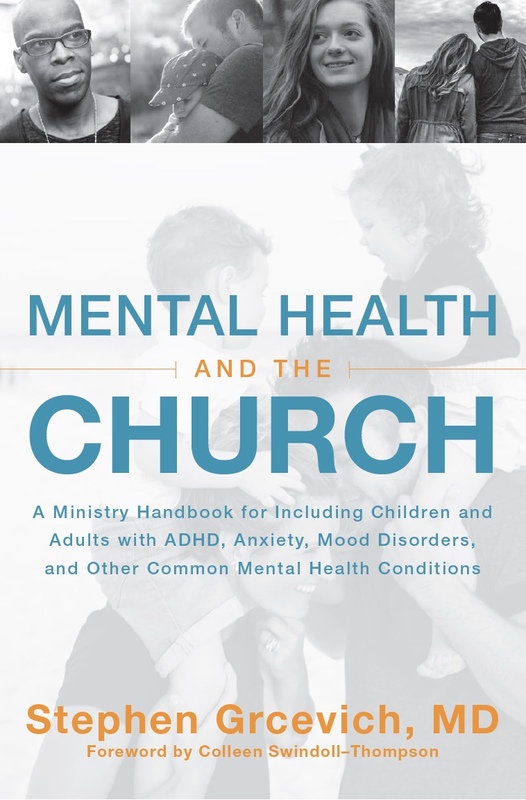 We’ll review changes in the DSM most likely to impact children and adults served by the church, and look at ways in which the church can most effectively serve families impacted by mental illness. We’ll follow our summer series up by looking at the topic of early-onset Schizophrenia. Depending upon how much ground we’re able to cover in our series on Reactive Attachment Disorder, we may cover the topic of trauma in that series, or as a stand-alone series later in the year. We’ll finish 2013 out with a primer for parents, pastors, church staff and volunteers focused upon understanding the pros and cons of psychotropic medication in children and teens. 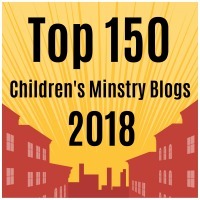 Supplementing the series described above, we plan to invite lots of guest bloggers from across the movement of Christ-honoring churches seeking to welcome kids with disabilities and their families, as well as re-publish some classic posts for readers who are new to the blog. All told, you’ll see new and original content from me at least twice a week over the course of the year. I very much appreciate folks sharing content through social media (Facebook, Linked In, Google Plus, Twitter and Pinterest). For Facebook in particular, sharing content and commenting on posts increases the likelihood that those who “subscribe” to our Key Ministry Facebook page will actually see the content we post online. You can subscribe to the blog by entering your e-mail in the box at the top of the right sidebar. Thanks again for your interest in the blog and your interest in Key Ministry! If you have a question or a topic you’d like to see addressed on the blog, feel free to leave your suggestions in the “Comments” section below. This entry was posted in Key Ministry and tagged blogs, Church4EveryChild, Disability Ministry, Harmony Hensley, Katie Wetherbee, Key Ministry, Special Needs Ministry. Bookmark the permalink.